If you don’t mind street shopping, there are ample of options. And if you’re in Camp, there’s no way you’re going home empty handed. We found a tiny alley off M.G. road that has a small line of shops you can buy mojaris and kolhapuris from. 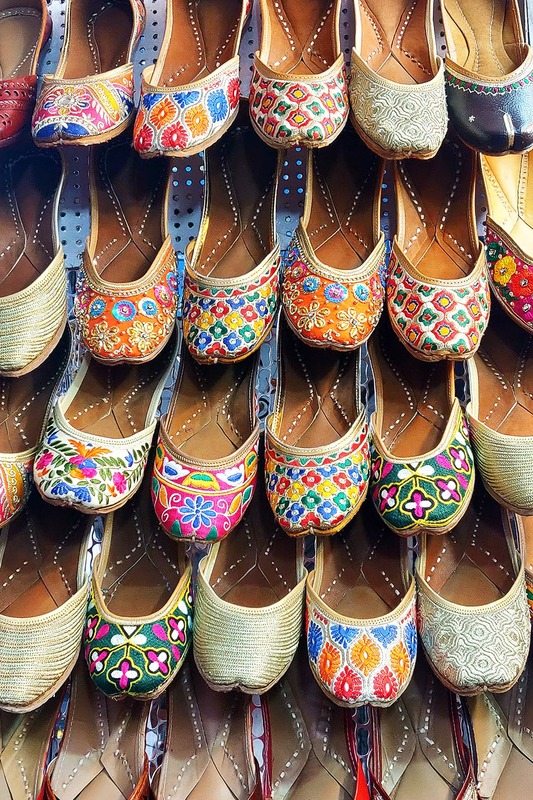 Ask a friend to buy juttis for you from Punjab and there’s no way you’re spending less than INR 1,500. But these shops have mojaris that are embroidered, printed, have minimalist shine and some that would look great casually too. This little alley, called Shimpigalli, has three shops cramped close together. Fancy Foot Wear mostly houses women’s mojaris, while the other two offer footwear for men. We loved the plain leather mojaris. The dark brown and tan shades are our favourites and their price starts at INR 450. That’s a steal! We saw a whole range of colourful, embroidered ones too and they’ll set you back at least INR 1,200. But they’re worth the price because you won’t find these at such cheap prices. For men too, there are a range of kolhapuris, loafers and mojari options. The price for the starts at INR 500. We saw kolhapuris in different shaped toes: everything from pointy, round to angular. And, if you’re one who loves some colour, we saw bright purple and blue mojaris too. We’re told the collection changes often, so you won’t find what we saw in a few weeks. But that means you could keep going back and find something different. We’d love to see kolhapuris for women here too. But we’re definitely going back for more. Buy embroidered mojaris here. They’ll look great for the wedding season and you won’t be breaking your back and feet walking in heels all day.